The man who authorities said drove a Ferrari off a dock into the Palm Beach Inlet last month has been identified. PALM BEACH, Fla. — The man who authorities said drove a Ferrari off a dock into the Palm Beach Inlet last month has been identified. According to a traffic crash report, 48-year-old James Mucciaccio, Jr. deliberately drove off the end of a dock at top speed on Dec. 26 around 7 a.m.
Palm Beach Fire Rescue said the vehicle floated for approximately 50 feet before sinking to the bottom of the Inlet. 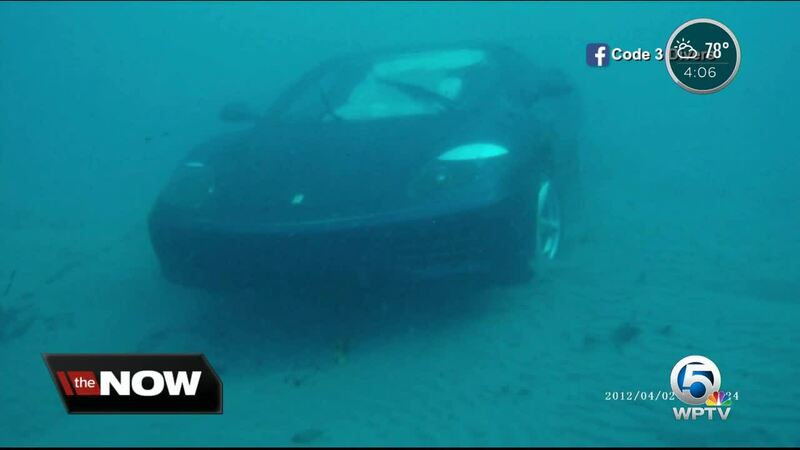 Divers used airbags to float the Ferrari to the surface, then brought it back to shore. New pictures from Code 3 Divers show the Ferrari at the bottom of the Inlet, and divers working to recover it. Fire Rescue officials said Mucciaccio was not hurt, and alcohol and drugs were not a factor, according to a crash report.